THE MUCH-ANTICIPATED TICKET touting law has been approved by Cabinet today. Minister for Business, Enterprise, and Innovation Heather Humphreys told her ministerial colleagues today that she will be amending but supporting the Private Members Bill proposed by Fianna Fáil’s Stephen Donnelly and Fine Gael’s Noel Rock. The proposed legislation would ban the above-face value resale of tickets for sporting and entertainment events in designated venues with a capacity of 1,000 or over. It would also prohibit the use of bot software to purchase tickets in excess of the number permitted by event organisers. The Anti-Ticket Touting Bill has been lying idle in the Oireachtas Bills Office for over a year due to it being a Private Members Bill. However, it is understood the minister has been anxious to take action on ticket touting and has been in discussions with both Rock and Donnelly behind the scenes about progressing their legislation, which is being dubbed as ‘new politics at work’ due to both Fianna Fáil and Fine Gael joining forces on the issue. 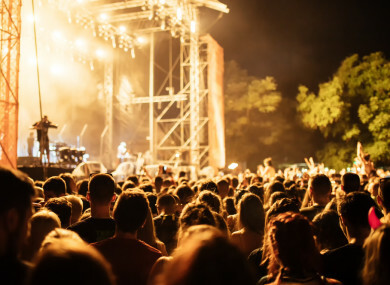 The issue of ticket touting has been hitting the headlines over the years due to the extortionate prices being charged for tickets to popular gigs such as U2 and Ed Sheeran. Speaking today about the proposed legislation, the minister said it’s wrong that people who make no contribution to sport or music can profit from the resale of tickets for sell-out matches and shows. “In doing so, they deprive genuine fans of the opportunity to attend these events, and the time has come to put a stop to it,” she said. The minister said she is confident that this Bill will have the support of the main sporting bodies, of many artists and promoters in the entertainment industry, and of music and sports fans right across the country. She said the Bill is also “a tangible example of new politics at work and in that regard I want to acknowledge the efforts of Deputies Noel Rock and Stephen Donnelly, who have engaged constructively on this matter so we can bring forward workable proposals which will benefit genuine fans”. Donnelly said for too long, genuine music and sports fans have been ripped off by organised ticket touting. “While there has always been some low-level touting, the move to online sales and ‘bots’ has brought ticket touting to an industrial scale. Recent assertions to a Westminster committee link some of this to organised crime, based partly in Ireland. Time and time again, fans are being told that all tickets are sold out on the primary sales website, while almost immediately being able to buy those same tickets at much higher prices on other websites,” he said. The Wicklow TD said it is fans, artists and sporting bodies that suffer. He said the new legislation is a “strong move” to protect fans, artists and sporting bodies, adding he wants the Bill to make its way speedily through the Houses of the Oireachtas so it can become law. Rock said the new legislation will be a “game-changer” for Irish entertainment and sporting fans. He said it is his ambition that other nations across Europe will replicate the legislation. Stakeholders have already been consulted on possible changes to the law, with more than 24 interested parties making submissions during the public consultation period, which was undertaken in response to public concern at the resale of tickets at a price often well in excess of their face value. The company came in for criticism when U2 tickets, which sold out within minutes on Ticketmaster, popped up on Seatwave for thousands of euro. Email “Ticket touting: New law to ban above-face value resales approved by Cabinet”. Feedback on “Ticket touting: New law to ban above-face value resales approved by Cabinet”.